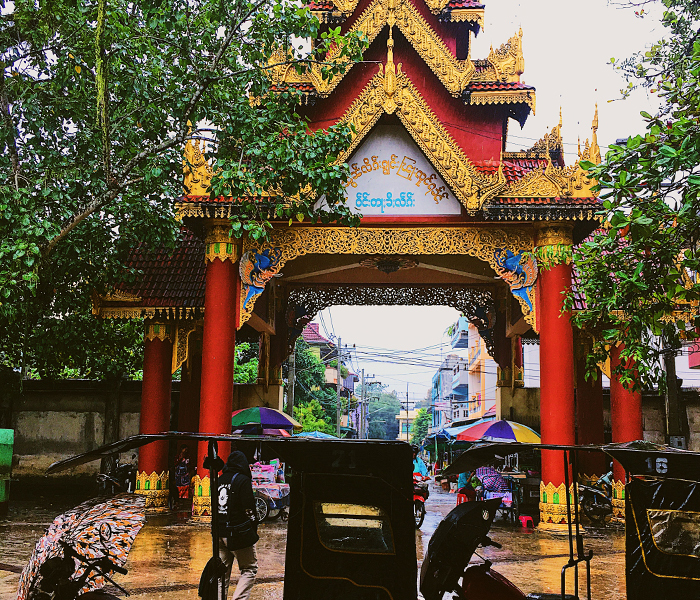 While in the Golden Triangle, I took a day and traveled to Burma, a country that I didn’t know much about before visiting. We crossed the border from Thailand into Tachileik, a city in Eastern Shan state of Burma. The rain was pouring but it was still awesome! 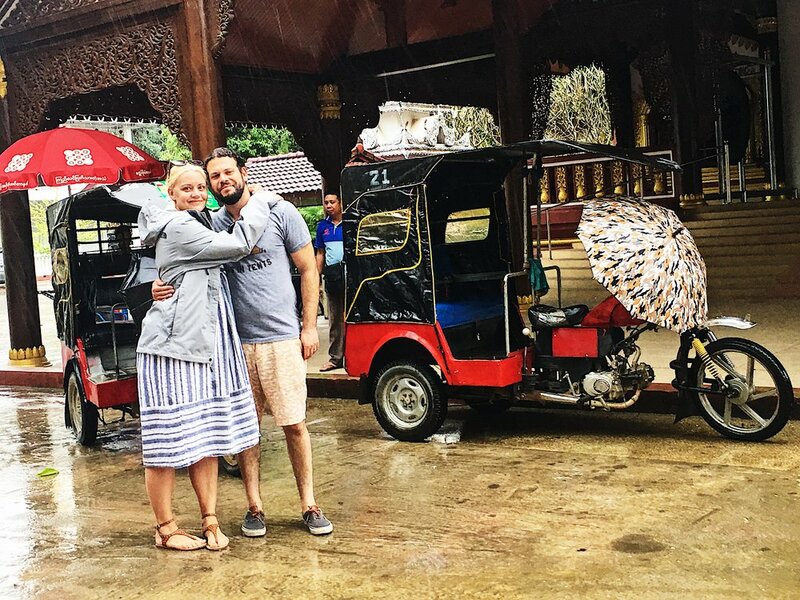 Riding around the city in a Tuk-Tuk, we visited many places including Buddhist Temples and the local markets. The local markets were selling everything from fruits and vegetables to snakes and cow intestines. As our tour guide put it, “ We eat everything here except the poop.” I was thrilled to spend Thanksgiving Day in Burma. We traded Turkey for pig hooves and crickets. Quite the different experience but so happy to have visited such an amazing country.